The oldest private house in Swanbourne is likely to be Brook Farm Cottage (see below) which could date back to about 1400. RIGHT:- Brises farmhouse, lived in by William Deverell, Chief Constable of Cottesloe Hundred (1700). 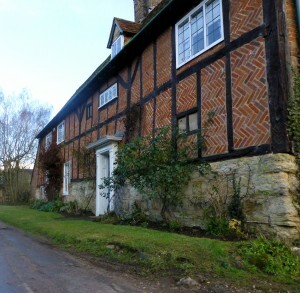 ABOVE:- Brises farmhouse owned by Newman Williat in 1762, probably built in the 16th Century. 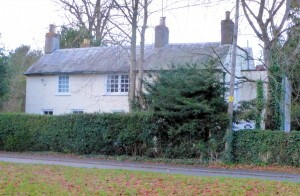 Owned by Newman Williat in 1762 who had a large wedge shaped parcel of farmland to the south of the farm buildings at Enclosure. The farm was let out to tenants in 1762 when Newman Williat’s main residence was in Great Horwood. It is likely to have originated in the 16th Century and is interesting in that the foundations, basement and first few feet in height are constructed of limestone. Placed directly above is a wooden frame filled in with herring bone shaped brickwork. BELOW: – The Cottage (near the shop); the boyhood home of World War 2 fighter ace Squadron Leader Anthony Bartley SFC (Bar). Anthony went on to marry film star Deborah Kerr and live in Santa Barbara, California, where he became a television producer. Parish Records show that their second daughter was christened at St Swithun’s church in 1954. 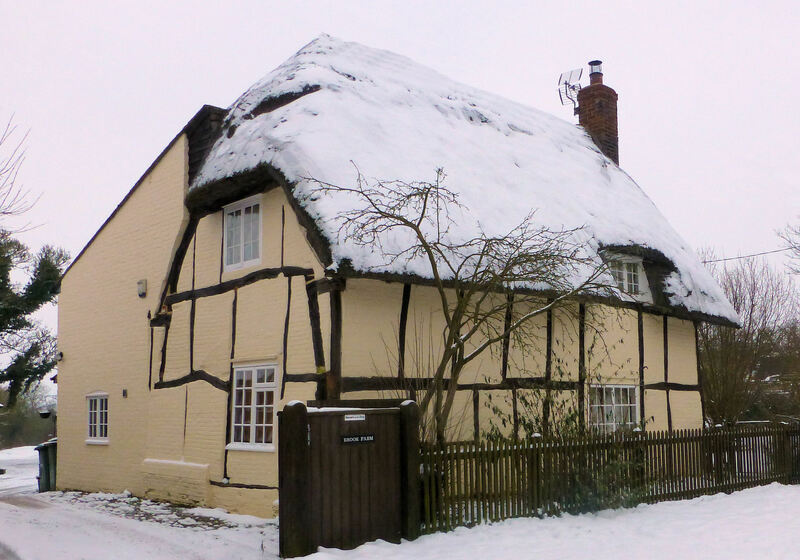 Brook Farm, Nearton End, is of particular interest, probably being the oldest house in the village, most likely originating as a Hall House during the Middle Ages (see below). 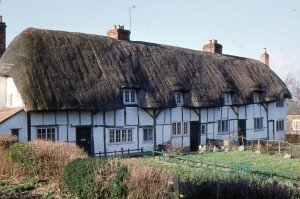 Barrack Row are a line of cottages at Duck End which were famous as barracks for about 40 Parliamentary soldiers during the English Civil War. This was originally a manor house of great antiquity, probably also a Hall House from the Middle Ages. 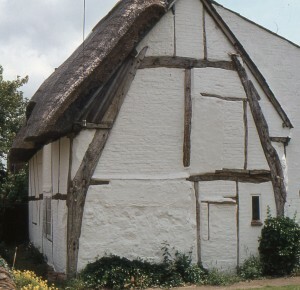 The Anglican Church is the oldest building in Swanboune, going back to the 13th Century. 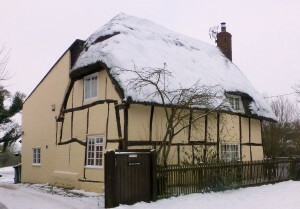 These two old houses in the village, however, seem to originate from the 15th Century. Brook Farm could go back as far as 1400, and Barrack Row, could go back to about 1450 and both are properties which certainly exhibit the structure of Medieval Hall Houses, based around a single large room. Medieval Hall House – construction plans. There would be a large fire in the centre of the large room and the whole family would live around it. Chimneys have been added later.The origin of the medieval ‘open hall’ is thought to be an evolution of the Anglo-Saxon aisled hall and lasted, unchanged, until the end of the Medieval period (c1530). 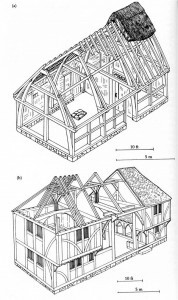 An initial timber frame is bricked in, and the house is based around one very large room.